Hi everyone. 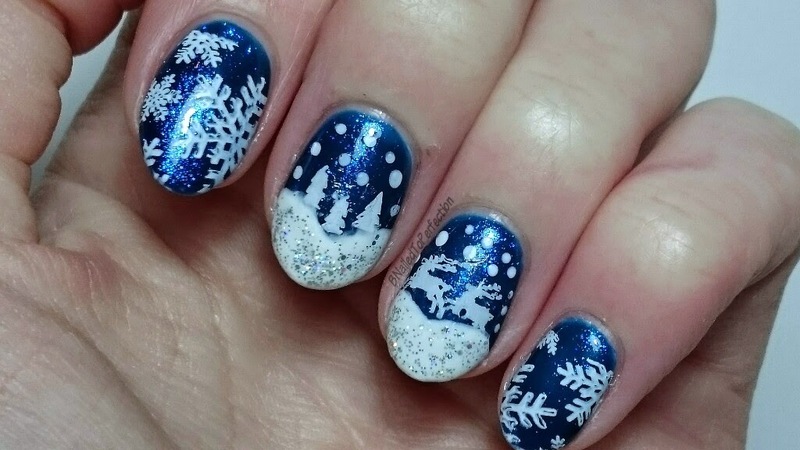 Today I have for you a mani filled with Christmas spirit! I wanted to do something a bit more detailed so keep reading and I'll tell you how I did this design. I first started with four thin coats of Gelish Wiggle Fingers Wiggle Thumbs That's The Way The Magic Comes (phew, that's a long nail for a colour!) 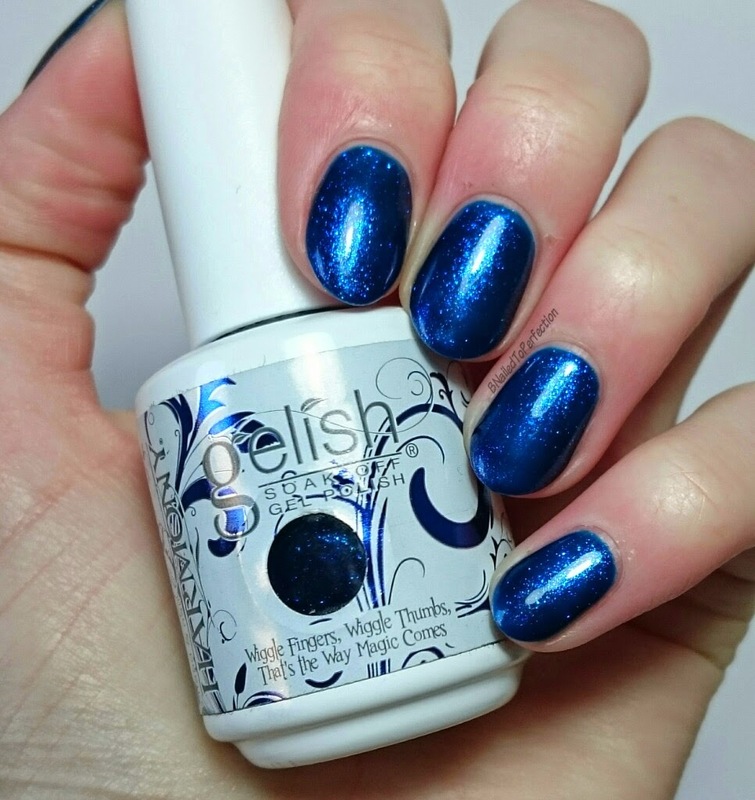 Such a beautiful blue full of shimmer and perfect for Christmas. I top coated my gel and used a white regular nail polish for the art. 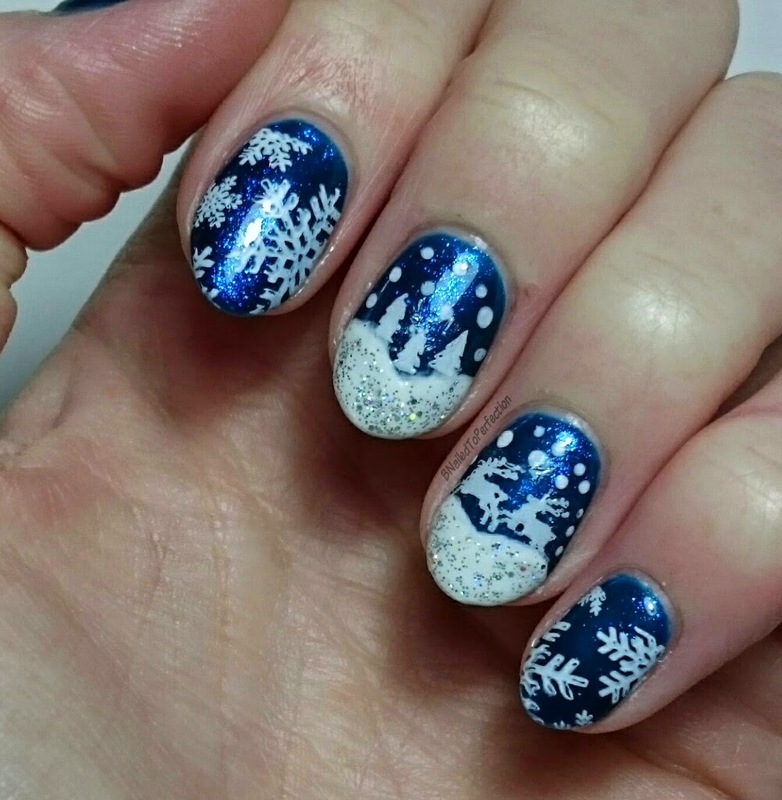 I painted on the snow tips and topped them with Hologram Diamond by LeChat Perfect Match. 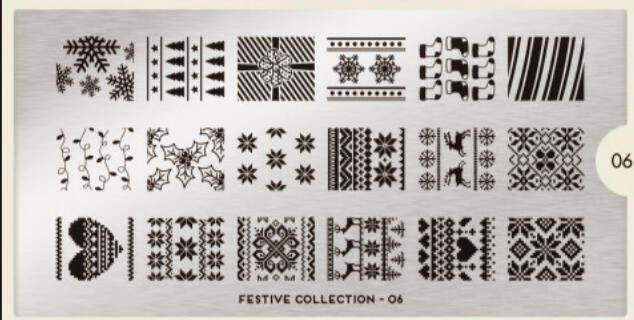 Then I used my MoYou Festive plate 06 for the snowflakes, trees and reindeer's. To get the reindeer's and trees separate I used the decal method. 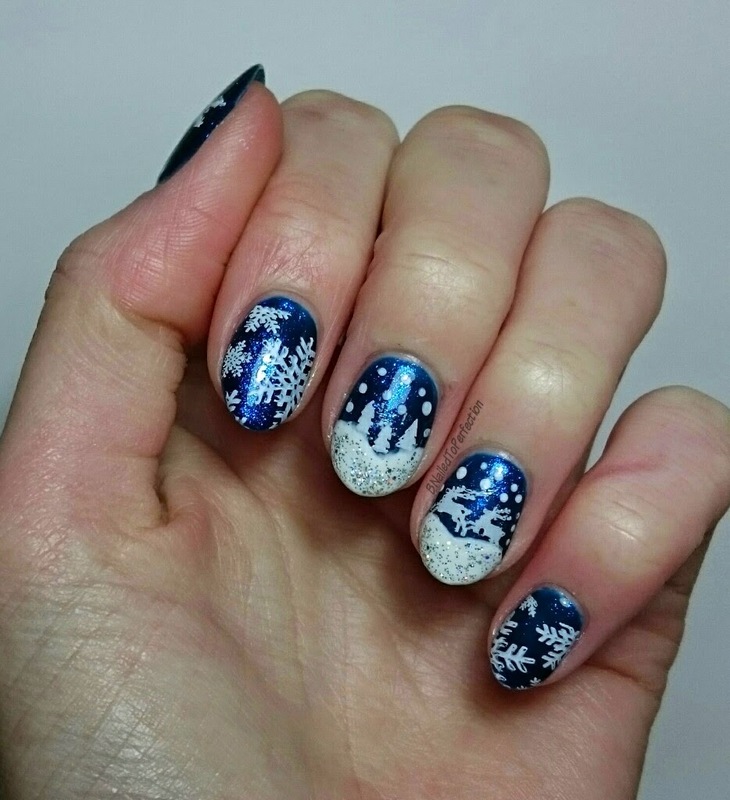 Here's a great tutorial by Simply Into My Nails if you want to try it out for yourself. Here's a close up for you. Please excuse the awful dry cuticles, I have been putting oil on daily but maybe I need to look into getting a better one.